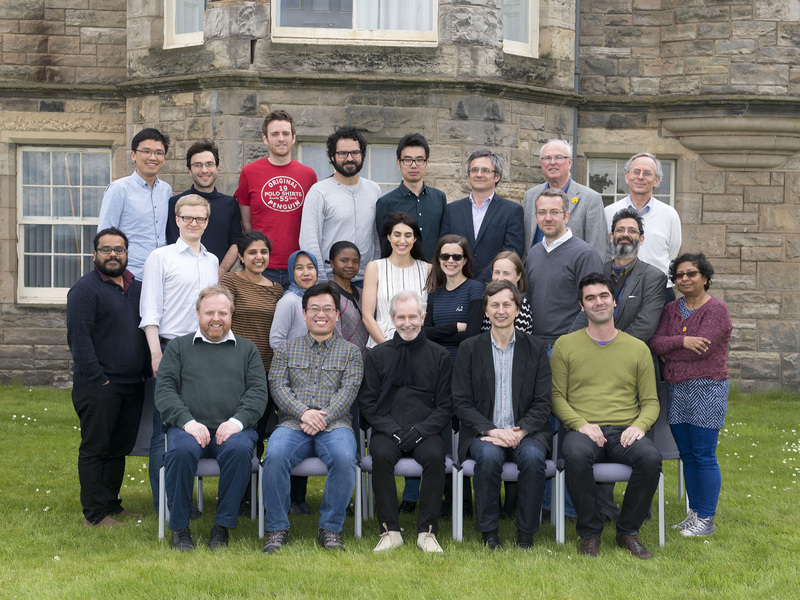 The Centre for Dynamic Macroeconomic Analysis was established by a direct grant from the University of St Andrews in 2003. The Centre facilitates a programme of research centred on macroeconomic theory and policy and disseminates working papers. The Director of the CDMA is Rod McCrorie. Workshop on Time-Varying Uncertainty in Macro, organized by Oliver De Groot & Katerina Petrova and to be hosted by the School of Economics and Finance & the CDMA, 2nd - 3rd September 2017. Keynote speakers: Wouter den Haan (LSE) and Fabio Canova (Norwegian Business School). Peter C.B. Phillips, Sterling Professor of Economics and Professor of Statistics at Yale University, Alumni Distinguished Professor of Economics at the University of Auckland and Adjunct Professor at the University of Southampton and at Singapore Management University, gave the 3rd SIRE Econometrics Lecture entitled Denis Sargan and 21st Century Econometrics as part of the SIRE-CDMA Workshop in Time Series Econometrics on 20 May 2016. Workshop on Structural Transformation, August 20-21 2015. Theodore Koutmeridis wins the Cairncross Price. Workshop on Dynamic Econometric Models, 16 October 2013. Workshop on Macroeconomic Policy and Expectations, 12 September 2013. 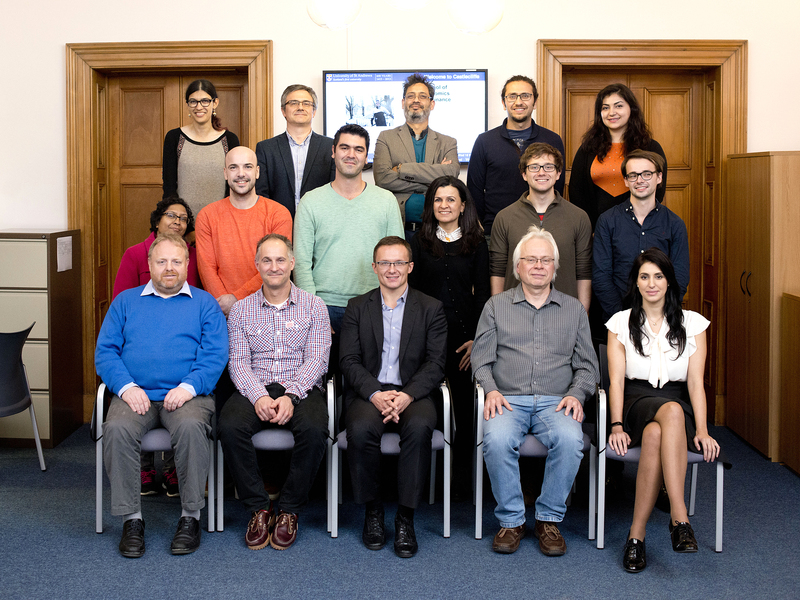 Workshop on DSGE Models , 6 March 2013. Kaushik Mitra has been appointed an Associate Editor of Macroeconomic Dynamics and a Member of the Economic and Social Research Council (ESRC) Peer Review College. Richard Fisher, President of the Federal Reserve Bank of Dallas, will be giving a talk on The Limits of the Powers of CentralBanks (with Metaphoric References to Edvard Munch's 'Scream' and Sir Henry Raeburn's 'Reverend Robert Walker Skating on Duddingston Loch')" at 12 noon, Tuesday 5th June 2012, in School 1. Seppo Honkapohja, Bank of Finland, will be visiting the CDMA and the School of Economics and Finance, from February 16-20. He will be giving a talk on the 16th of Feb from 13-13.45 pm in F2 titled "The current stage of the sovereign debt crisis in Europe". SIRE/CDMA Workshop: 18-19 August 2011, "Advances in Economic Growth"
CDMA Conference 2011: Aug 31-Sept 2, "Expectations in Dynamic Macroeconomic Models". Alan Sutherland has been awarded an ESRC grant "The Macroeconomics of Financial Globalisation" (ES/1024174/1) with a total award value of £584,000 at Full Economic Costing (with £348,000 coming to the University of St Andrews) effective July 2011 for a period of four years. Kaushik Mitra has been given an ESRC grant “Macroeconomic Policy Changes and Adaptive Learning” (Ref RES-062-23-2617) with an award value of £259,000 at Full Economic Costing effective October 2010 for a period of three years. Working Paper 1411:Federico Di Pace and Stefania Villa, 'Factor complementarity and labour market dynamics', European Economic Review, 82, 70-112, 2016. Working Paper 1410:Seong-Hoon Kim, Seongman Moon and Carlos Velasco, 'Delayed overshooting: Is it an 80s puzzle? ', forthcoming in Journal of Political Economy. Working Paper 1407:Jess Benhabib, George W. Evans and Seppo Honkapohja, 'Liquidity traps and expectation dynamics: Fiscal stimulus or fiscal austerity? ', Journal of Economic Dynamics and Control, 45, 220-238, 2014. Working Paper 1405: Tatiana Damjanovic and Sarunas Girdenas, 'Quantitative easing and the loan to collateral value ratio', Journal of Economic Dynamics and Control, 45, 146-164, 2014. Working Paper 1401: Alex Trew, 'Spatial takeoff in the first industrial revolution', Review of Economic Dynamics, 17, 705-725, 2014. Working Paper 1309: Michael B. Devereux, Ozge Senay and Alan Sutherland, 'Nominal Stability and Financial Globalization', Journal of Money, Credit and Banking, 46(5), 921-959, 2014. Working Paper 1308: Emanuel Gasteiger, 'Heterogeneous expectations, optimal monetary policy and the merit of policy inertia', Journal of Money, Credit and Banking, 46(7), 1535-1554, 2014. Working Paper 1306: William A. Branch and George W. Evans, 'Bubbles, crashes and risk', Economic Letters, 118, 407-410, 2013. Working Paper 1305: Agnieszka Markiewicz and Andreas Pick, 'Adaptive learning and survey data', Journal of Economic Behavior & Organization, 107(B), 685-707, 2014. Working Paper 1304: Kevin Lansing and Agnieszka Markiewicz, 'Top incomes, rising inequality and welfare', forthcoming in Economic Journal. Working Paper 1301: Emanuel Gasteiger and Shoujian Zhang, 'Anticipation, learning and welfare: the case of distortionary taxation', Journal of Economic Dynamics and Control, 39, 113-126, 2014. Working Paper 1209: George W. Evans & Kaushik Mitra, 'E-stability in the stochastic Ramsey model', Economic Letters, 118, 407-410, 2013. Working Paper 1111: Kaushik Mitra, George W. Evans and Seppo Honkapohja, 'Policy change and learning in the RBC model', Journal of Economic Dynamics and Control, 37(10), 1947-1971, 2013, lead article. Working Paper 1106: Oscar Pavlov and Mark Weder, 'Variety matters', Journal of Economic Dynamics and Control, 36(4), 629-641, 2013. Working Paper 1012: Alex Trew, 'Finance and balanced growth', Macroeconomic Dynamics, 18(4), 883-898, 2014. Working Paper 1011: William A. Branch and George W. Evans, Monetary policy and heterogeneous expectations, Economic Theory, 47, 365-393, 2011. Working Paper 1010: William A. Branch and George W. Evans, 'Learning about risk and return: a simple model of bubbles and crashes', Economic Journal, 3, 159-191, 2011. Working Paper 1008: George W. Evans, Seppo Honkapohja and Kaushik Mitra, 'Does Ricardian equivalence hold when expectations are not rational? ', Journal of Money, Credit and Banking, 44(7), 1259-1283, 2012. 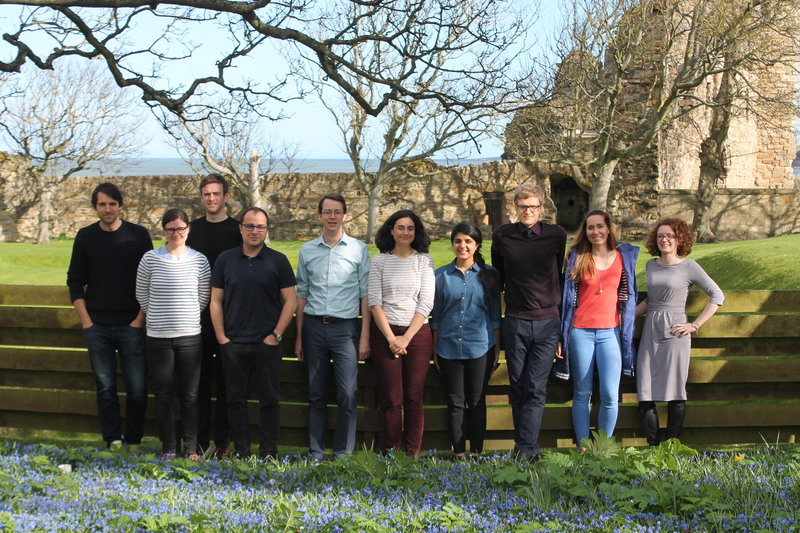 Working Paper 1007: Ozge Senay and Alan Sutherland, 'Endogenous price flexibility and optimal monetary policy', Oxford Economic Papers, 66(4), 1121-1144, 2014. Working Paper 1006: Ozge Senay and Alan Sutherland, 'The timing of asset trade and optimal policy in dynamic open economies', Macroeconomic Dynamics, 17(8), 1543-1573, 2013.